Today I have another gorgeous polish to show you. This is one the polishes I bought in Seoul last August. 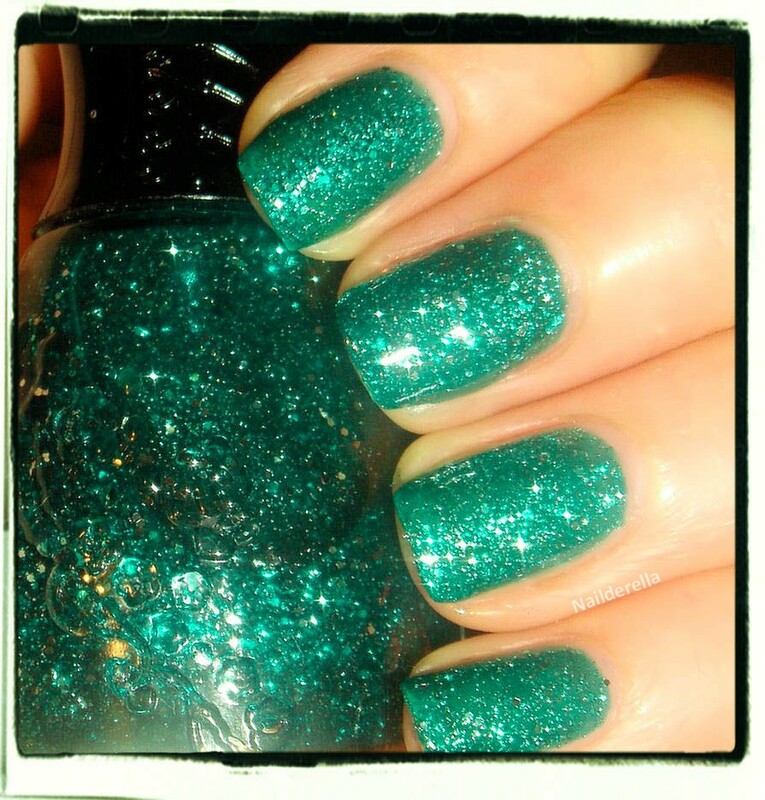 This "5897 Green Pearl" from Scandal. It's a green jelly packed with tiny round silver and green glitters and a little bigger silver hex glitters. The overall color is a green tinted with a bit of blue...so it's a kind of teal :p However, much of the time it looks really green...kind of emerald green...!! It's super spakly and beautiful! 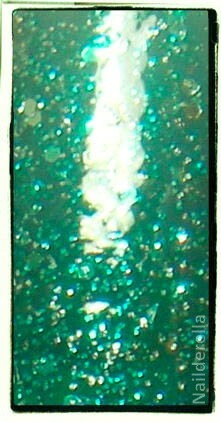 This is a picture taken with flash so that you can see the sparkle. 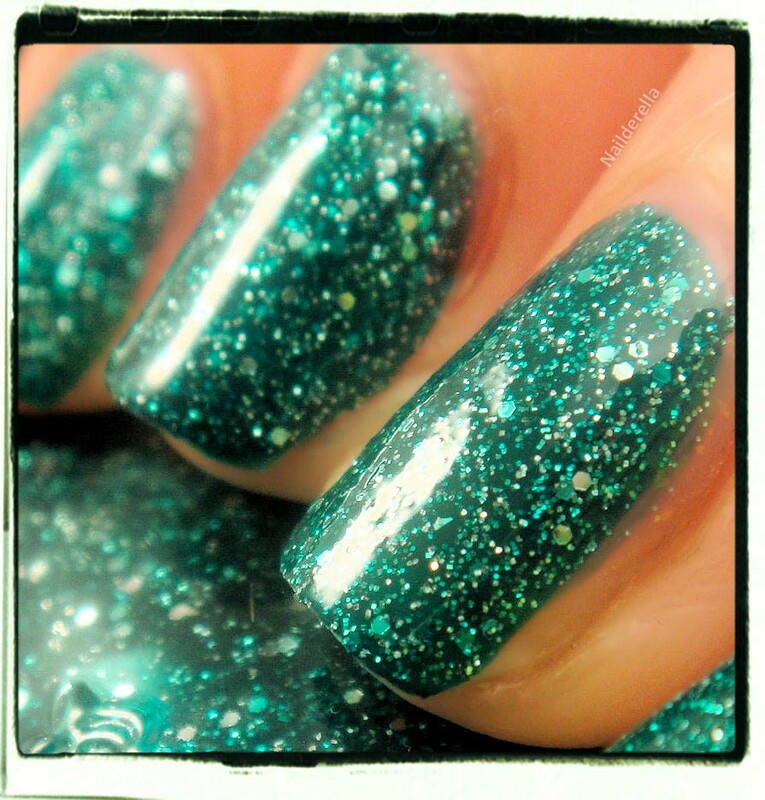 Final verdict: Wow, this polish had directly entered my top 10! It's truely beautiful. I love the jelly finish with all the glitters. And the base color is really unique to my stash...it's a little difficult to describle because somtimes it leans toward teal while somtimes it's more an emerald green tone....but don't get it wrong, it's not a duochrome polish. Application was flawless. I used 3 coats, with top coat. I wore it for 3 days without any chips. I did a previsous post about Scandal polishes here where you can learn more about the brand and where to shop. And here you can also see another Scandal polish I already swatched. 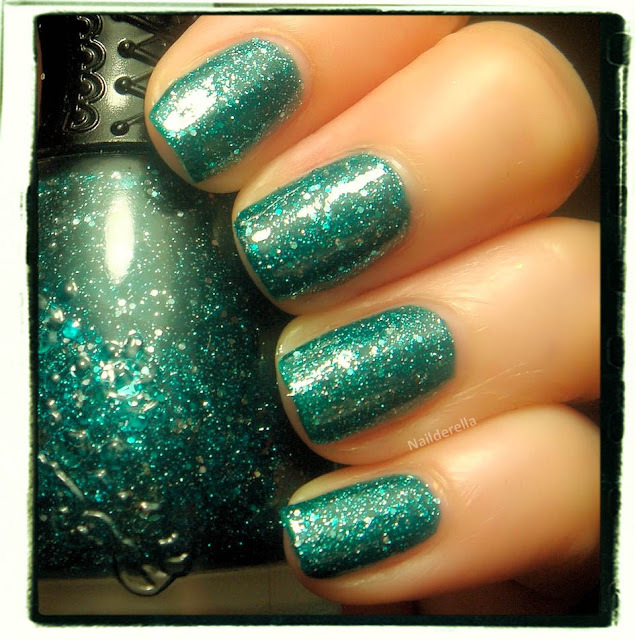 You can buy Scandal polishes from Banzailiving (US only) and from Nailissima (international shipping). I don't know why but on all my pictures, it cames out really blue (cf the litte picture where it's compared to Sparkle deTriomphe) but its not it's true color. So I had to change the color with a software and the picture are color accurate now! It kinda reminds me of China Glaze Atlantis. So pretty! I love this! I just went to order it on the US site and it wasn't there. :( Any other idea how I can get it? 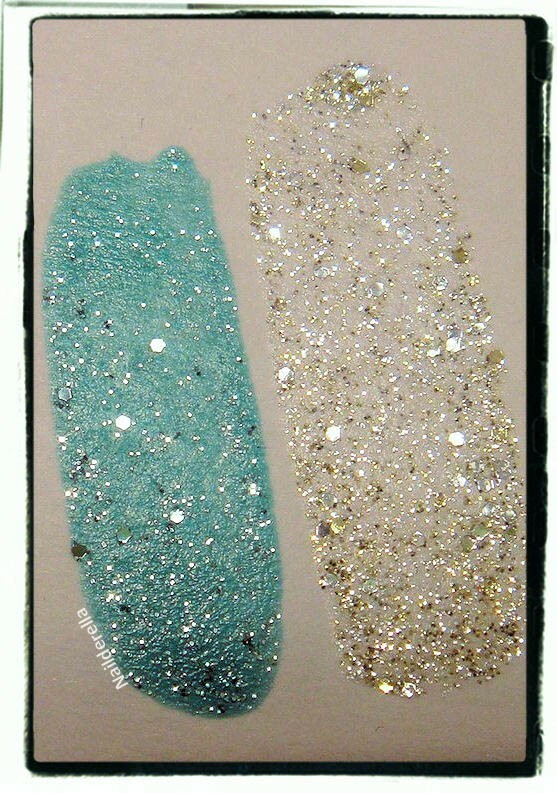 This is such an amazing glitter ! I love this. So jealous! I want it!